Tile floors are the most popular choice among homeowners. Unlike hardwood floors, these are waterproof, durable and easy to install. They do not even require maintenance in terms of floor coverings such as carpets and other rugs. Tiles are great for areas prone to get wet often such as kitchens and bathrooms. With proper tile and grout cleaning, you can ensure that your tiles look as good as new for many years. It is important to never over clean where tiles are concerned. There are myriad products that you need for effective tile and grout cleaning. 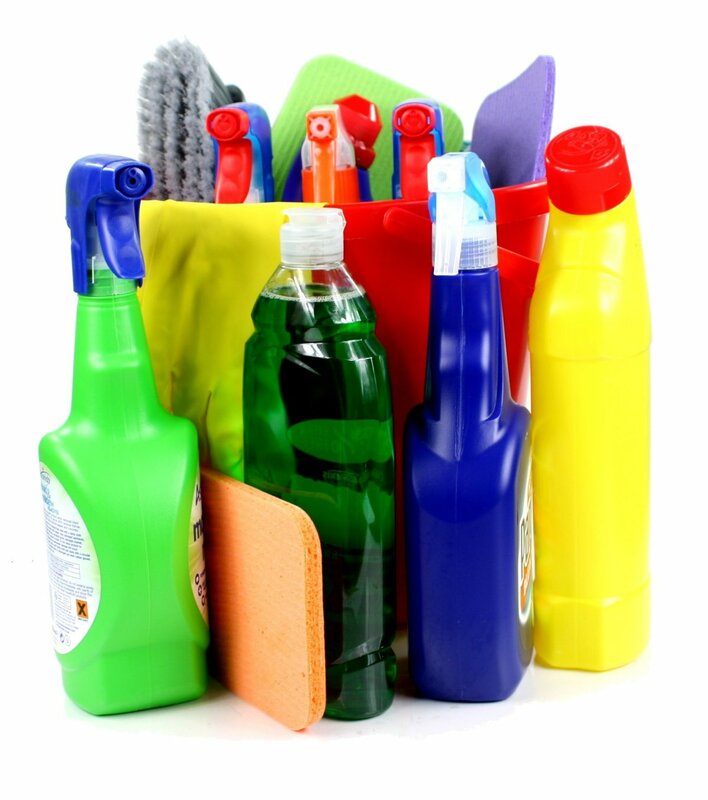 These products vary depending upon the kind of cleaning you have in mind. A vacuum is necessary to remove food crumbs, loose dirt, and other dust particles. It is important that you vacuum at least once a week or else the dirt might turn into tough grime. Ideally, vacuum every day. A good floor mop is necessary to keep your tiles sparkling. It is better to use mops with a sponge rather than cloth weaves. Sponge mop leaves a shine on the tiles. Sponge mop also dries quickly allowing you to use the same mop for drying the floor. The market has many daily use floor cleaners that come in a variety of strengths and smells. Do not use harsh floor cleaners daily as that might cause abrasions on your floor. Alternatively, you can also make use of dish wash soap to mop your floor. 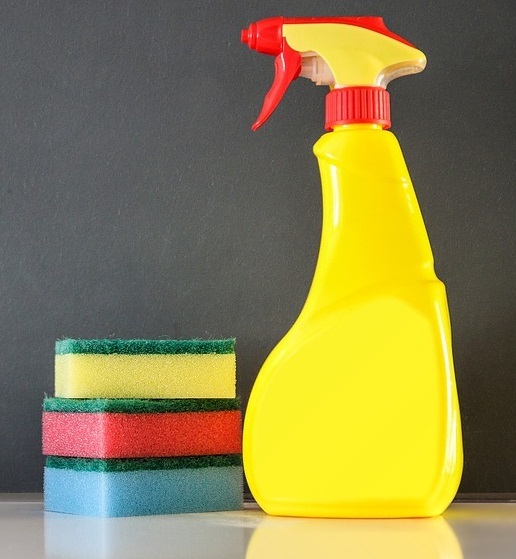 Disinfectant is a good way to clean up after pets or after dropping a food item. Buy the spray kind as it is easier to clean with a dishrag. A vinegar solution is a natural disinfectant and leaves your tile floor shining as new. A scouring powder paste is great to remove tough stains from the tile. You would also require a soft brush to scrub the stain free. Mildew tends to grow on tiles if your kitchen or bathroom is not aired properly. Use an ammonia solution to get rid of this. You would require protective gloves as well. 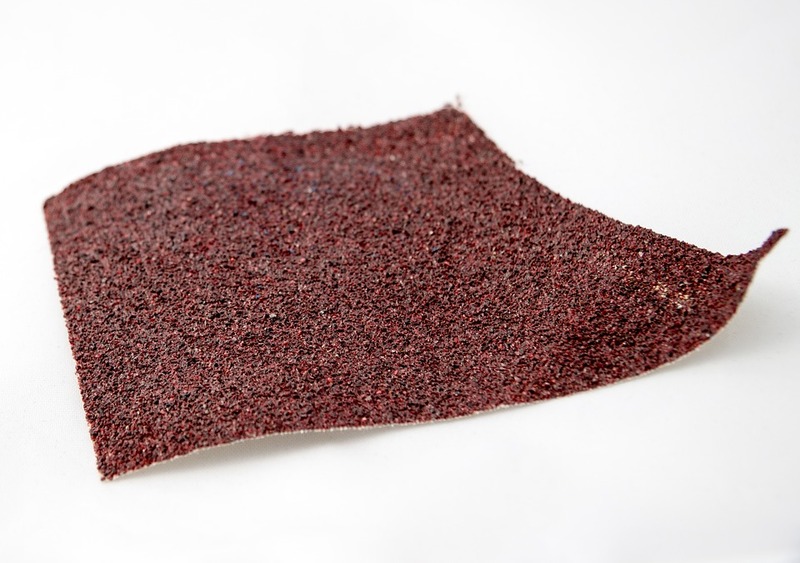 Any abrasive grout removal tool such as sandpaper works wonders. If there is only a small patch of grout, then using a pencil eraser can also help. If there is a large area of dirty grout, then rub baking soda paste in it with a toothbrush. This is important to prevent grout in between the tiles after you are donecleaning. 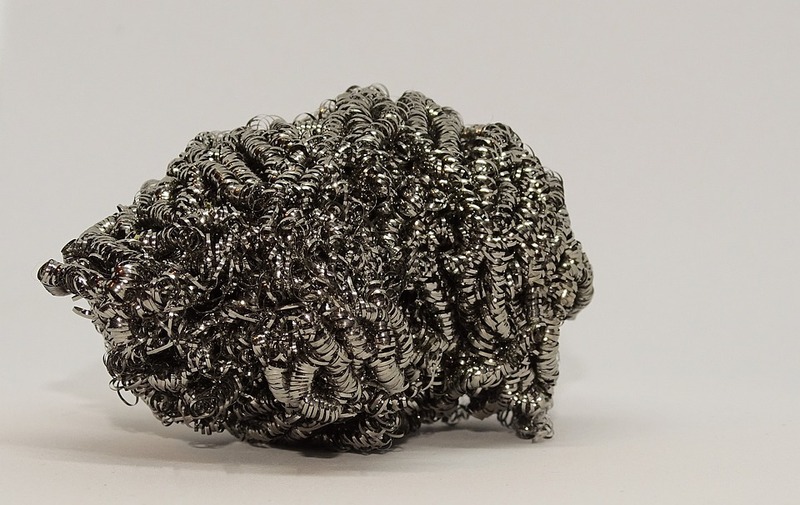 You might find rust spots from metal dustbins or other articles on your floor. You can remove this by using kerosene. This is required only for the toughest stains and should not be used as a first option. 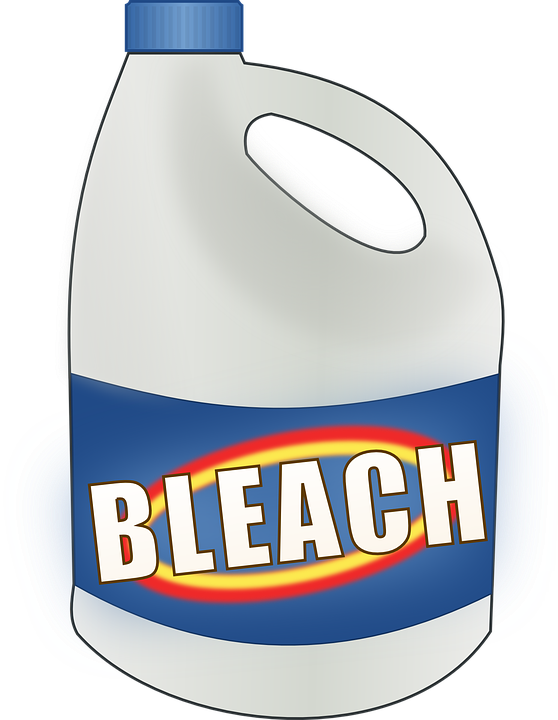 Use bleach to clean stains only when your tiles are white. 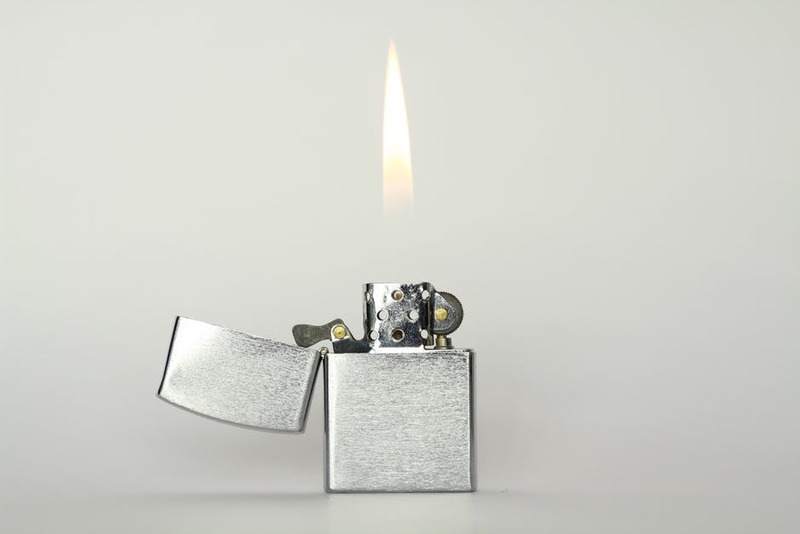 If you are fighting with shoe stains on your floor, then a little lighter fluid will go a long way. It should be used only for the toughest of stains after trying all other options. These tips can help your tiles stay clean and free of dust and grout. You can keep your floors clean for a long period by vacuuming daily. This lets you remove any loose dirt or dust. If not cleaned, this dirt can build into grime. Never use a straw broom to sweep your tile floor as it can leave scratch marks on the surface. Instead, you can dry sweep with a fluffy mop. You can maintain nice and shiny tiles by effectively mopping the tiles with warm water once a week. 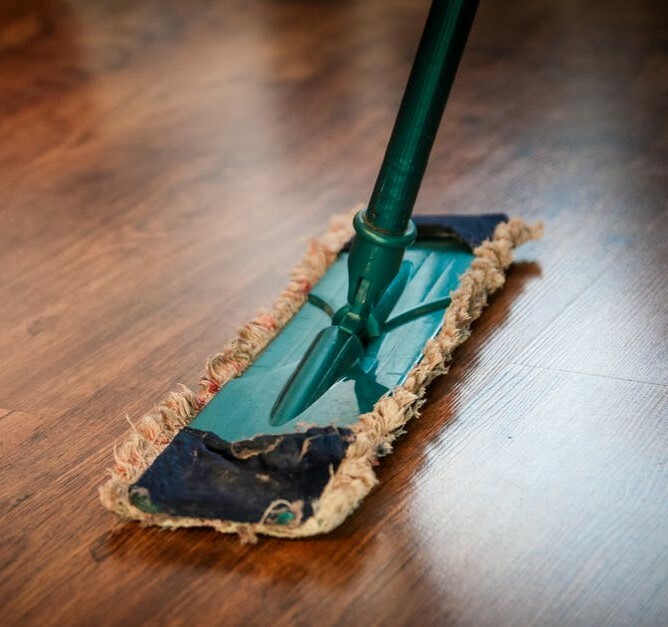 Cleaning agents and disinfectants can ensure that your floors remain fresh for a longer period. It is critical for effective tile and grout cleaning that you use a dry mop on the surface as soon as you are done cleaning with a wet mop. Water, soap particles and disinfectant can attract dust causing hard to remove grime. You will not have a tough job cleaning if you wipe spills immediately. You can clean with a normal wet rag or use a dry cloth depending upon the type of spill. However, if there has been a pet accident, then you might need to use a disinfectant spray. Be careful to wipe after using the disinfectant to prevent marks on the floor. 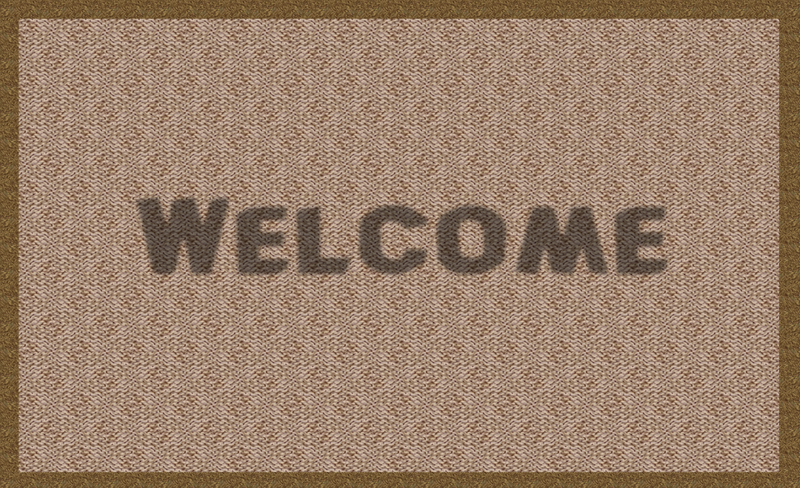 You can prevent mud and dirt from tracking on your floor by putting doormats outside your home. This is especially important during rains and snow. You should also keep a bath mat next to the shower area or bathtub to prevent water from dripping on the floor. A great way to prevent mildew buildup is to air your bathroom regularly. It is recommended that you dry the floors after taking a shower. It is also important that you tackle a mildew situation as soon as you see it. Tile and grout cleaning techniques depend upon the kind of cleaning and stains present. To ensure that your tiles stay clean and fresh looking it is important that you either sweep or vacuum on a daily basis. This allows any loose dirt and dust particles to be removed. You can also prevent grime and grout buildup by mopping your floor every week with a wet mop. By adding a soap solution or floor cleaner to the warm water, you can ensure shine and effective tile and grout cleaning. However, make sure to wipe your floor again with a dry mop. This ensures that there is no wetness that might attract dust or any other debris. Deep cleaning should ideally be done once a month. It lends a particular shine to your floor that cannot be attained by regular cleaning methods. 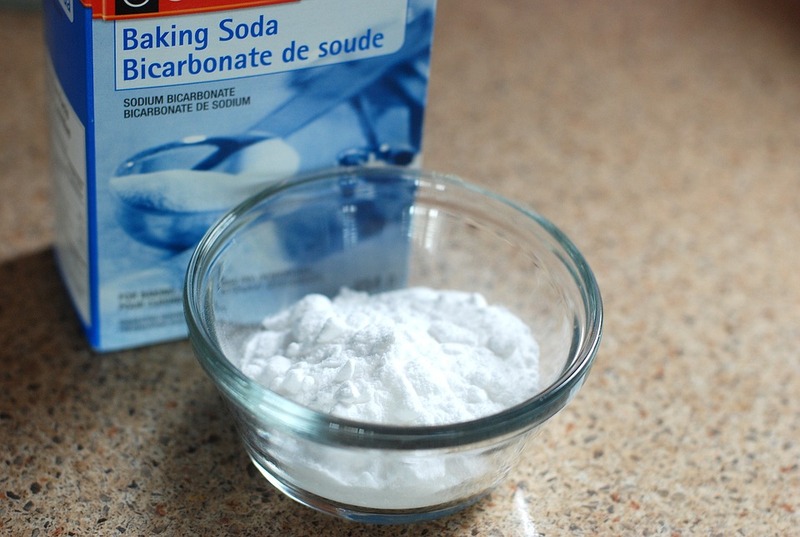 Grout can be easily removed with a baking powder paste made with water. Use a toothbrush to apply this paste on the grout and leave it for a few minutes. Clean with warm water and a rag. You would notice immediate brightening of the area. For small areas, you can effectively rub an eraser to achieve the same results. Apply a coat of grout sealer in between the tiles in order to prevent it from absorbing dirt in the future. The best way to get a shine on your tiled floor is to mop with a vinegar solution. 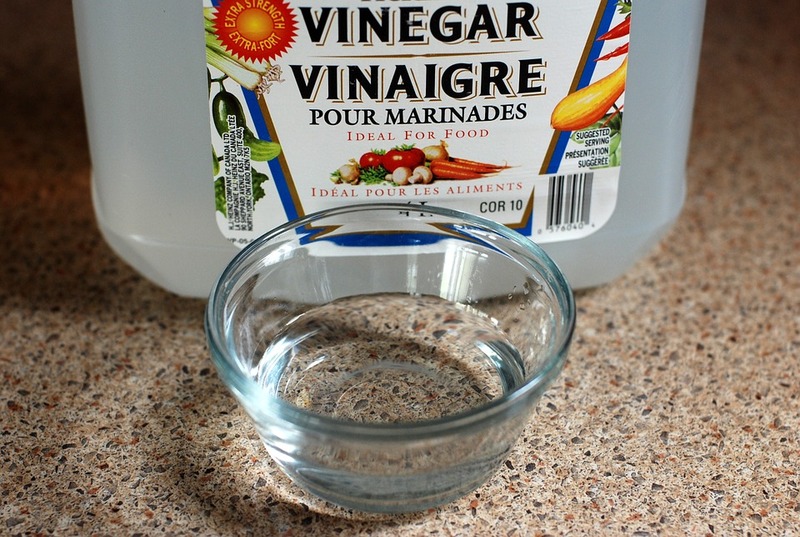 Mix 1/2 cup vinegar in a gallon of water and mop as usual. Be sure to vacuum or sweep the floor first. You can get an added shine by using warm water. If the vinegar solution mop does not bring expected results, then mop again using a floor cleaner. After using the wet mop, it is important that you dry the floor with a dry mop. Stains can be caused due to spills and dirt stuck on the wet floor. You can remove these tough stains that escape daily cleaning by using a scouring powder paste. Use a 50/50 mix of scouring powder and warm water. Apply it on the stain with a clean rag and let it sit for at least 10 minutes. After this, scrub using a soft brush in easy circular motions. Wash the area using a rag dipped in warm water. You can repeat the process if the stain is still visible. 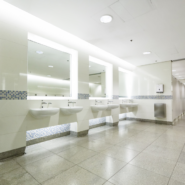 Tiles tend to develop mildew in the bathrooms. Ammonia is the best way to remove mildew. However, you need to ensure that the bathroom is well ventilated and you are wearing protective gloves. Mix a 50/50 solution of ammonia and water. Scrub the area with a brush dipped in this ammonia solution with dedicated circular motions. Wipe the floor with a dry cloth. You can repeat the process if the mildew is still remaining. After cleaning the area effectively wash with warm water and dry with a rag. 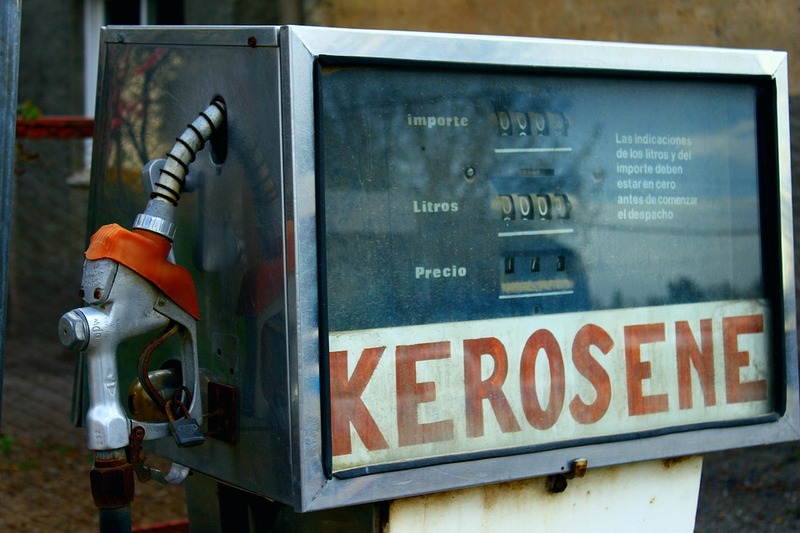 Rust spots can be easily cleaned with the help of a kerosene mixture. Make sure that you put on protective gloves and wipe the area clear of any loose debris before starting the cleanup. Dab a clean rag with kerosene and rub the rust stain with it. Wash the area with warm water once the rust comes clean. You can wipe it with vinegar solution in case there is no shine left to the tile. You do not need professional cleaners to give back the shine to your tile floors. By using these tips and techniques you can ensure a sparkling and cleaner looking floor. It is important that you use protective gloves while using strong chemicals.